Arthritis is one of the most prevalent issues dealt with by older adults throughout the United States. In fact, approximately 50 percent of adults over the age of 64 will be diagnosed with some form of arthritis, whether it is osteoarthritis, gout, or rheumatoid arthritis. If your aging parent is suffering from this type of condition, they are likely to be dealing with pain, stiffness, and loss of range of motion in whatever joint is impacted by the condition. This is not the only impact that your parent might experience, however. Many elderly adults dealing with arthritis will also experience emotional difficulties as well. 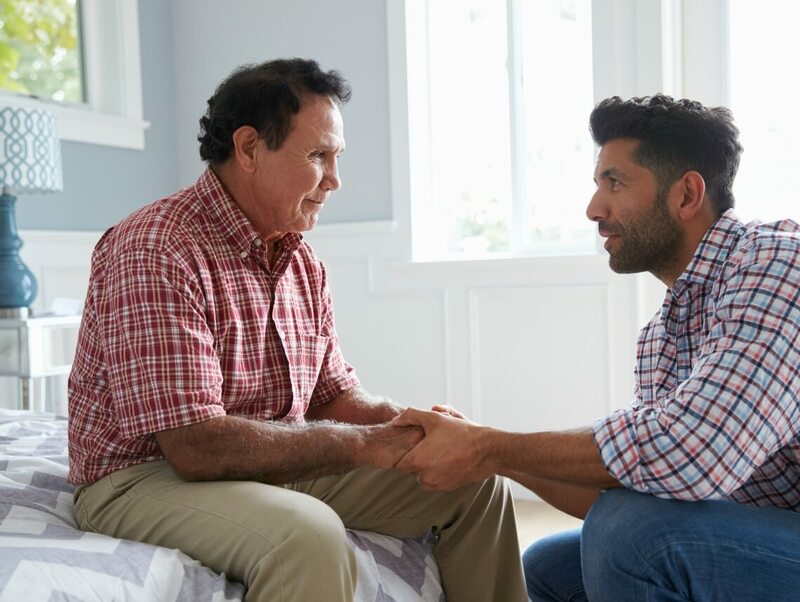 Helping them to cope with this emotional impact can guard your loved one from further consequences and support a better quality of life as they age in place. Elderly adults who are suffering from depression are more likely to experience more pain and longer-lasting pain. This pain then worsens their depression, continuing the cycle. Help your parent to ease their depression by encouraging them to find the right approach to care, treatment, and management for their needs. Often elderly adults feel as though their emotional turmoil is not warranted or that they are being overdramatic. This can make them feel worse and cause them to hide what they are going through so they do not receive the support that they need. Acknowledge what they are going through and let them know that you are there for them to help them cope. Much of the emotional stress that comes from arthritis pain is related to the loss of mobility and activity. By helping them to find ways that they can continue to stay active will help to reduce the difficulty of not being able to engage in all of the same ways that they once did. Focus on some of their favorite activities and how they can do them even while coping with their challenges, but also help them to find new forms of activity as well. Starting homecare for your aging parent can be one of the best decisions that you can make as a family caregiver for an elderly loved one who is coping with arthritis. An elderly homecare services provider is not just valuable in terms of the personalized physical assistance that they can tailor to helping your aging parent address their mobility, pain, and stiffness challenges. This care provider can also give your loved one companionship and emotional support to help them cope with the difficult emotional and mental health challenges that can come along with suffering the frequent pain, stiffness, and loss of range of motion that come with arthritis. Through encouragement, nurturing, and supporting their efforts to stay active and engaged, this care provider can guide your loved one toward understanding their challenges and adapting their life to better cope with their struggle and still enjoy a high quality of life as they age in place.